A while back I wrote a short piece on how I can be a devoted fan of a specific series by an author and have no interest whatsoever in the rest of their work. This is the case with Ms Owens. I really, really enjoy her Heart/Celta books. I find the series as a whole—or at least as far as I’ve read, I think I’m a couple of books behind—wonderful and refreshing, for many reasons. And yet, I have never felt any interest in trying her other work. Your mileage, obviously, may vary. Despite being a fan of the world and the novels, I am also aware that this is not a series that should be glommed. In fact, two books straight is my limit. Why? Because there are some writing mannerisms that start getting on my nerves as soon as I start on a third novel in a row. And here again, your mileage may vary. Now, on with the actual review. This is only the second of the Celta novels and also only Ms Owens’ second published book. The world building is very consistent with what we learn in HeartMate, but the whole concept of fated mates (one SLWendy so despises¹) is explored from a completely different direction. 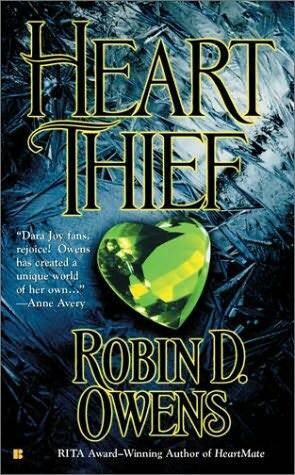 Heart Thief is one of my favorites in the series so far. This novel has been in the monstrous TBR shelves for…well, at least a couple of years, but probably more. 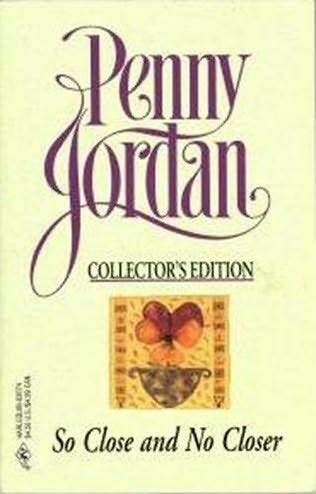 I have already failed January’s installment of SLWendy’s TBR Challenge, but given Ms Jordan’s recent passing, I feel it fitting to review it nonetheless. Originally released in 1989, this category romance definitely reflects the mores of the day, though both it and Ms Jordan were popular enough to warrant a Collector’s Edition re-release in 1991. There were several things I liked about this story, not the least of which is the setting, a lovely village somewhere near Cambridge, England¹. The first in the Heart series set on the planet Celta, HeartMate was also Ms Owens debut novel. Seven more books in the series have been written since its publication in 2001 (Heart Change, the eighth title, will be released in November). A wonderful blend of fantasy and science fiction serve as background to this romance. This is a very old category romance published by Harlequin as part of its Men at Work line back in 1989. It is also my first (to my recollection) Anne Stuart.